Muji is known for their cool household products. I for one love their storage boxes and their bedroom and bath textiles. Another favorite is their Cedar Wood Bars. But they also sell food products like green tea, marshmallows , and even sauces. They recently announced some new products and I dropped by my favorite branch at Robinson's Magnolia to try them. 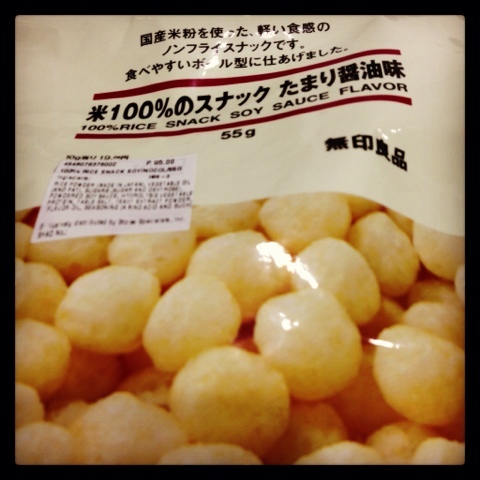 I bought a pack of Rice Snack in Soy Sauce flavor.. The rice balls are crispy and the soy sauce flavor is very apparent. It's a bit salty for my taste but I have been limiting my salt intake so perhaps for some of you, it will just taste right. It's a very light snack and will not make you feel guilty for indulging. 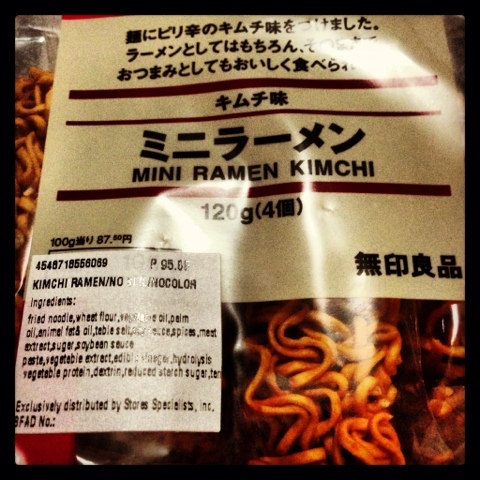 Another new food product I've been wanting to try is the Mini Ramen. Actually I planned to buy this one during the long weekend but thanks to the typhoon and heavy monsoon rains, I had to hold my plans until this weekend. This comes in three variants but I chose to try the Kimchi. The sales clerk told me that there are three ways to enjoy this ramen. You can eat it as it is like a crunchy snack or you can put it in a cup of hot water. But you can also cook it with vegetables and other stuff for the complete ramen experience. I haven't tried it in any way but I will update this post once I get the chance to taste it.